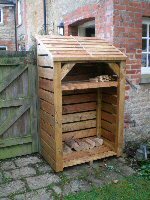 How easy is it to keep your log store in top condition? 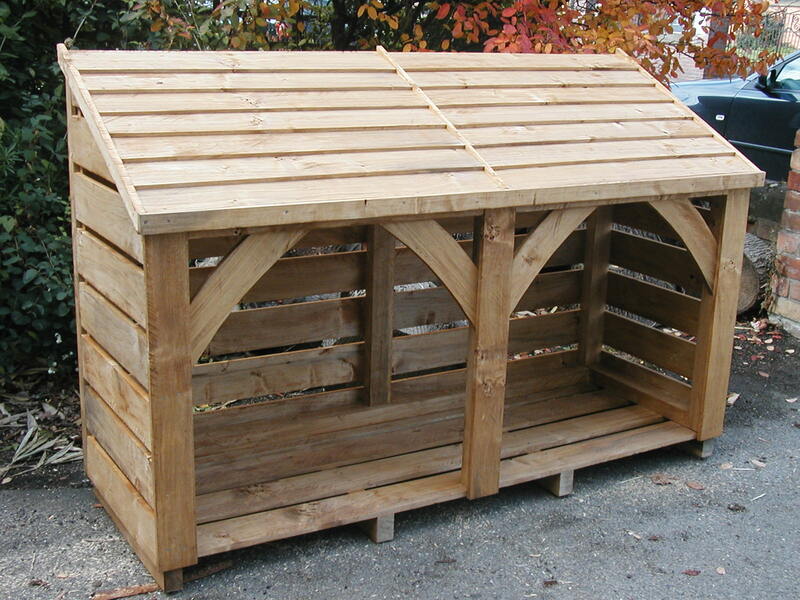 We send our Wood Stores to you completely constructed, fully treated and ready to site and use. They are very sturdy strong log stores that will last for many years and continue to look good with a small amount of care. Wood is a living thing, so really you should treat your store with a wood preservative every year; at the end of the burning season give it a coat of preservative. This will not only maintain the look of the store but ensure it remains usable and attractive for many years. Frankly, the chart bears little resemblance to the colour in real life! Different PC monitors can also show the colours differently. The colours we use are Light brown, Dark brown, Cedar (red) and Ebony. There is a clear treatment but this is only really suitable for Cedar Log Stores. There is a green treatment, but it isn't green, it is more blue. I do have a set of images that I think show closest to the right colours, am happy to send them on request. Have a look in the gallery images too, which will give a good idea of shades. When you do re-treat your store, you need to be aware that wood stain loves to jump on your clothes and once there that is it, nothing will ever get it out of your favorite jeans, and a white top it most definitely sees as a challenge. Another tip, Always Wear Gloves. You will be really glad you did. If by chance you have to treat it on your driveway, or if it is on pretty coloured pebbles or perhaps lovely grey slate, use masking tape and newspapers. Wood stores must be put on a level surface, and should never be sited on soil or grass. An uneven base will wear the joints and could result in the log store tipping over. Being directly on soil/grass will rot the wood. Water will be sucked up inside the legs, and sit there quietly rotting it away from the inside. Put down flag stones, or even better pebbles or hard-core. Always compact the soil under the flagstones/pebbles as much as possible first, to close any pockets of air lurking underground waiting to slowly close under the weight of a full log store and tilt it. or telephone me on 01562 864114. I don't promise to know the answer but I do promise to find out where to get the answer to anything I am not sure about.